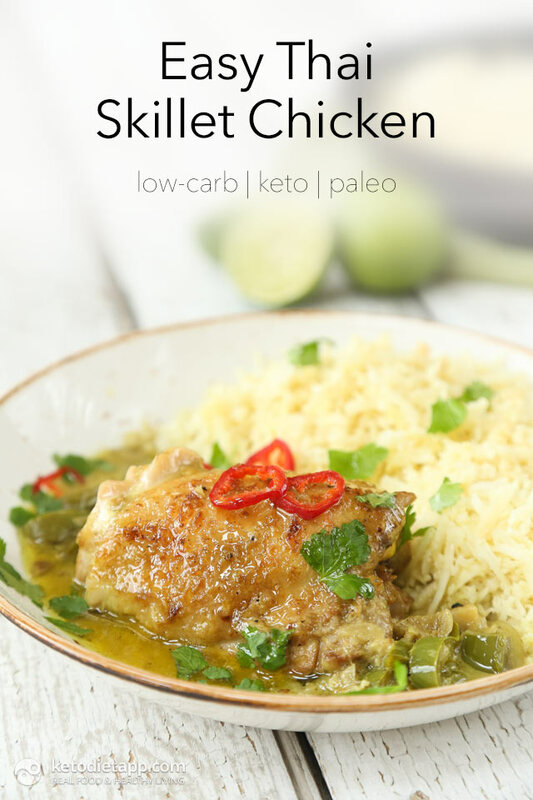 This one-pot creamy keto chicken curry is the perfect meal for summer. It's quick and easy to prepare with minimum clean-up. I used my own curry paste that I made with fresh ingredients. 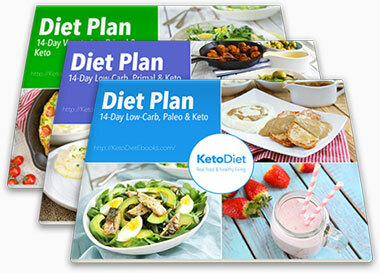 It tastes amazing and is free of preservatives and additives. If you like my video recipes, don't forget to subscribe and follow my playlist on YouTube! 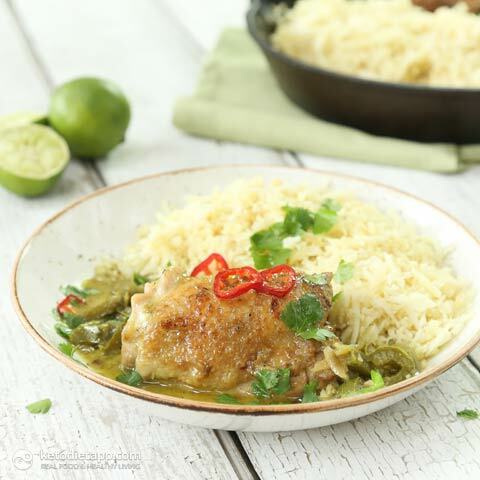 Bone-in chicken takes longer to cook than boneless but adds flavour and keeps the meat juicy. 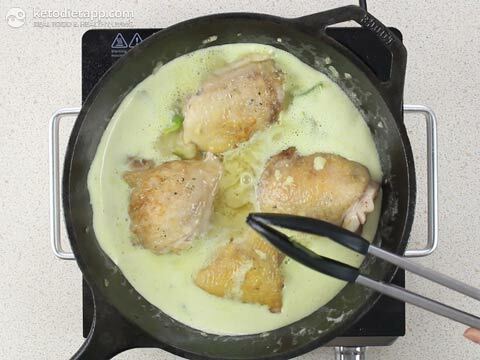 If you need to cut down fat (and calories), substitute half a cup of coconut milk with half a cup of chicken stock. Trim the excess skin and fat off the thighs. 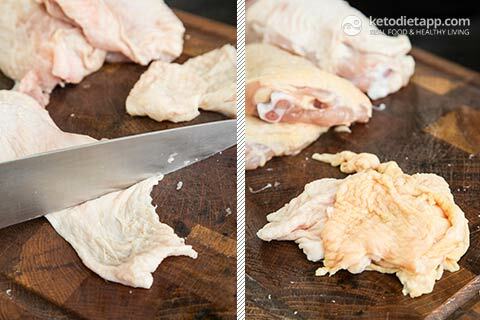 You can store the excess skin in the freezer and once you have enough, make Crispy Chicken Cracklings. Pat dry the chicken thighs and season with salt and pepper. 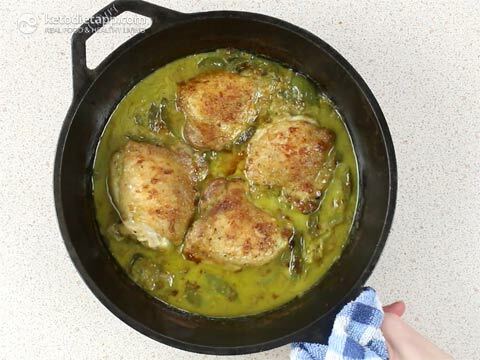 Heat a large pan greased with a tablespoon of ghee or coconut oil over a high heat. Once hot, add the chicken thighs in a single layer, skin side down. Cook over a medium-high heat for 5 minutes. Then, turn on the other side and cook for another 3 minutes. 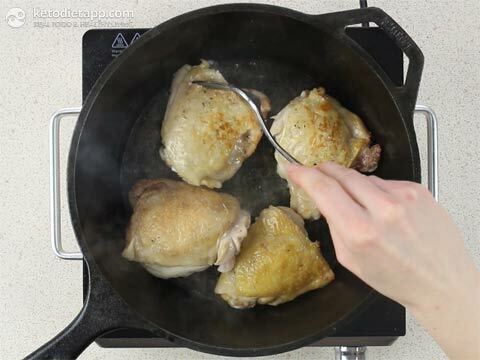 Remove the chicken from the pan and set aside on a plate. 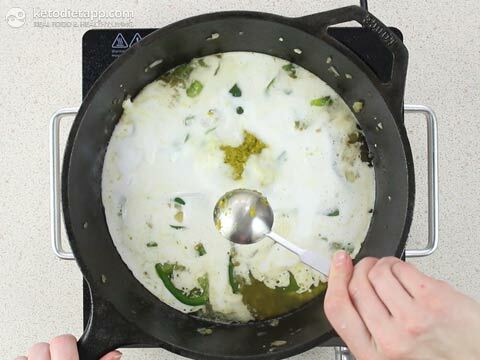 Grease the pan with the remaining ghee. 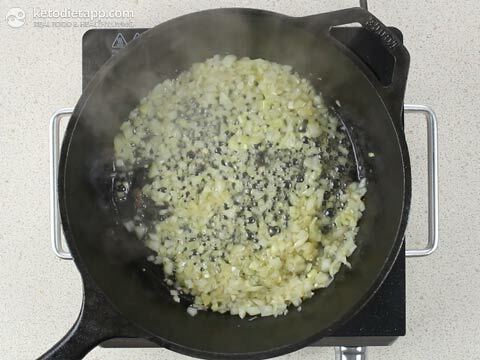 Add sliced onion and garlic and cook for 2-3 minutes, until fragrant. 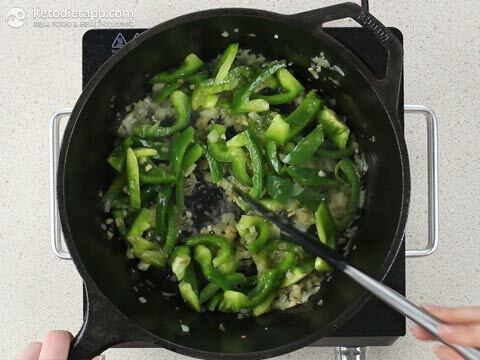 Add sliced green pepper and cook for another minute. Pour in chicken stock and coconut milk. Add Thai curry paste and lime juice. Season with salt and pepper to taste. Place the chicken, skin side up, back in the pan and cook for about 10 minutes. Then, place the pan under a broiler to crisp up for 3-5 minutes. Serve with cauliflower rice (steamed or pan-roasted), and optionally garnish with sliced chili peppers, lime juice and cilantro. What are the calories per serving please? Hi Natalie, it's 725 kcal per serving (also see tips below ingredients if you want to reduce that). Can you tell me what a brown onion is? We don't have those in the states. Thanks. Hi Tina, you can use brown or white onion - brown onion should be the same as yellow.